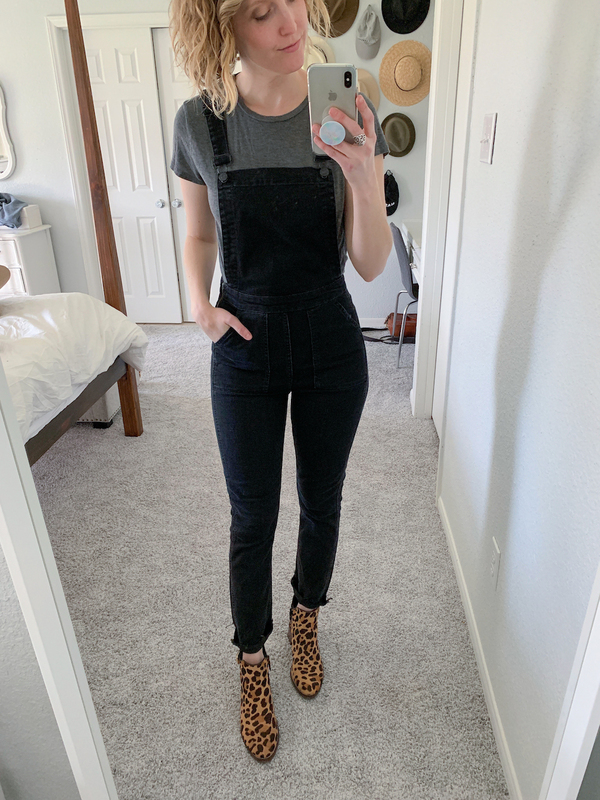 I have been eyeing these black denim overalls for a while, and I finally pulled the trigger! I'm so glad I did because I'm OBSESSED! 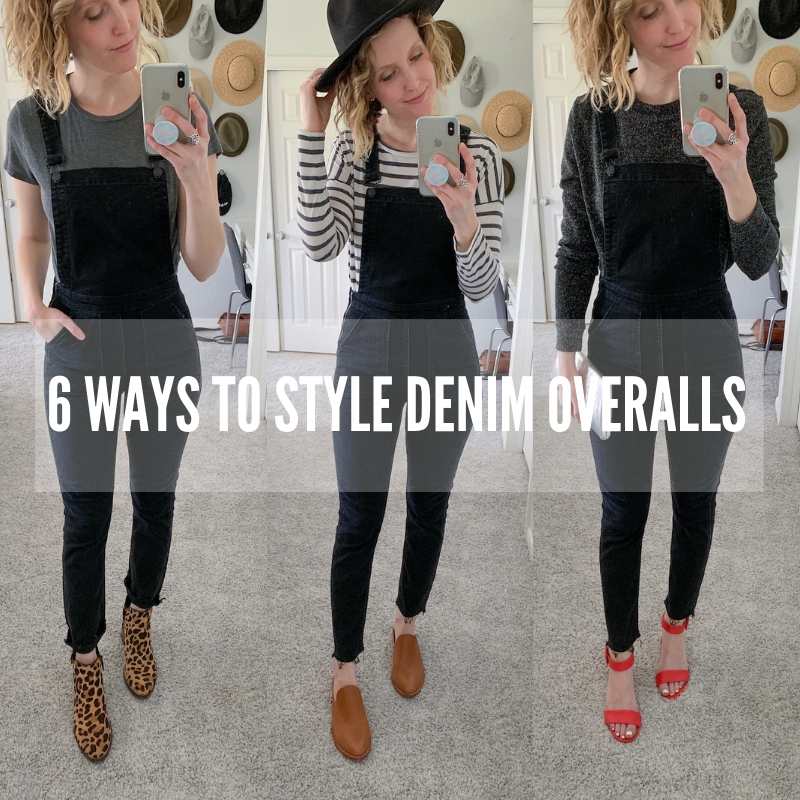 Today I'm sharing six casual ways to style them. Most of these styles I'm swapping out tees and switching up my shoes. 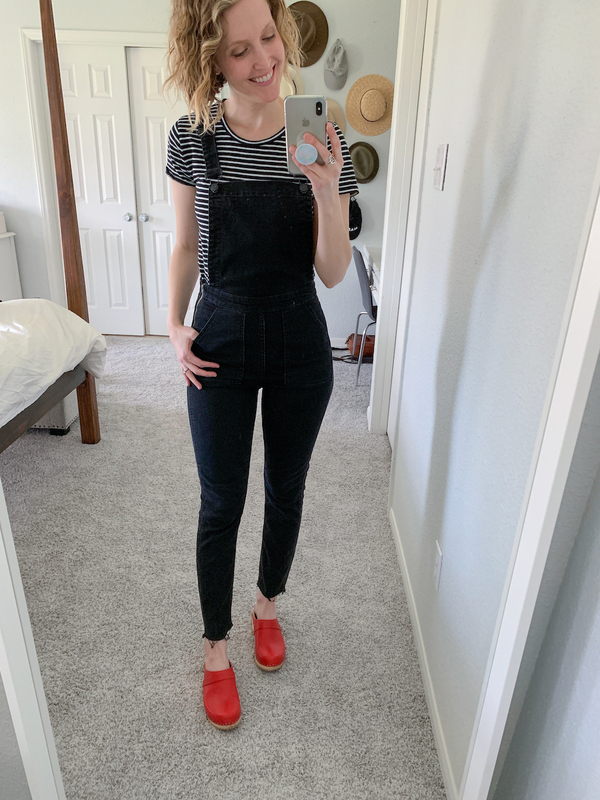 These overalls are a great length (raw hem at bottom) to be worn with most types of boots, sneaker or sandals. They can also be rolled up to go with higher ankled boots such as my leopard boots. 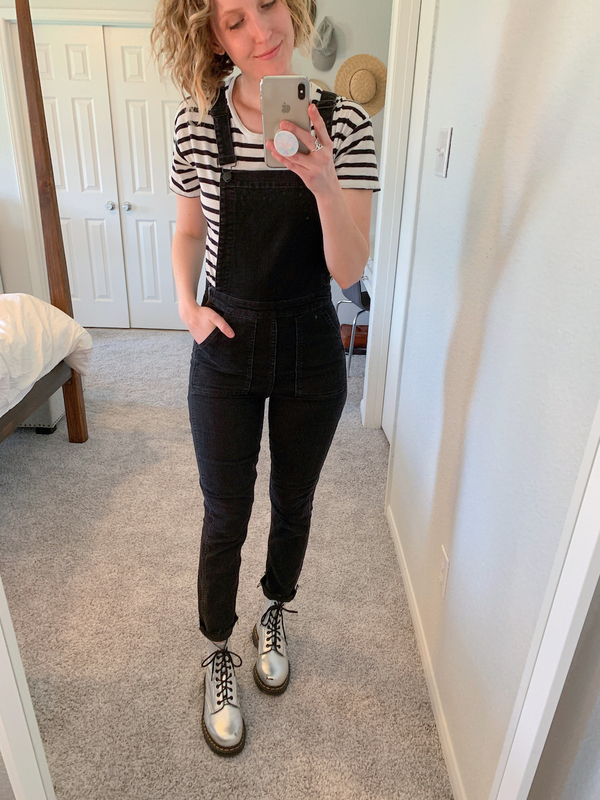 I'm 5'8" and usually wear a size 2/4 in jeans and I'm wearing a small in these overalls. They are snug but there is a good bit of stretch in them. If these are too pricey, Abercrombie has a similar pair. I'm hoping Gap, Old Navy, or American Eagle will also come out with a black pair this winter/spring. 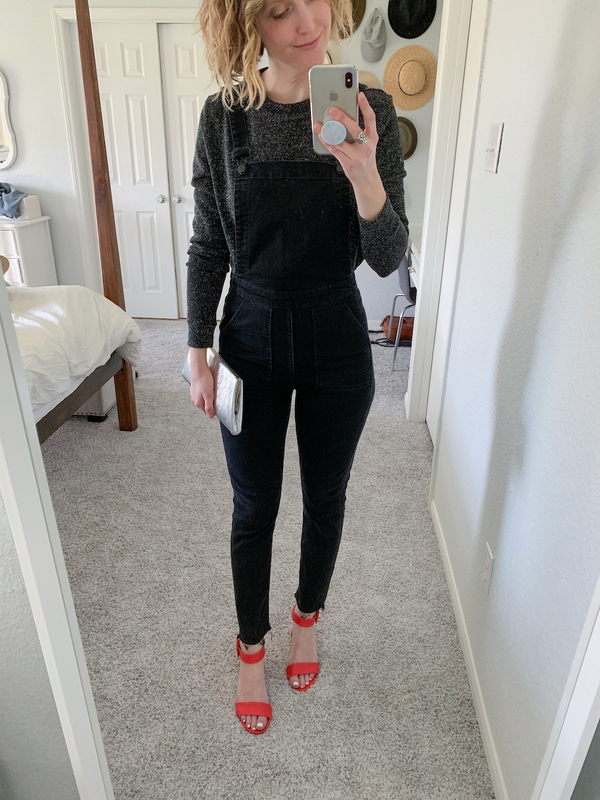 Don't be afraid to mix browns and blacks with these overalls, and don't underestimate overalls for a night out! 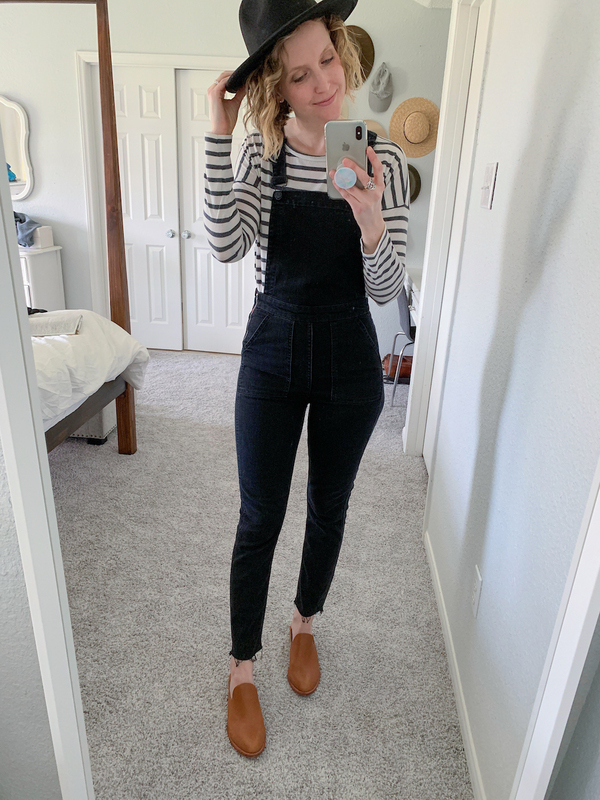 Have you given overalls a try?! 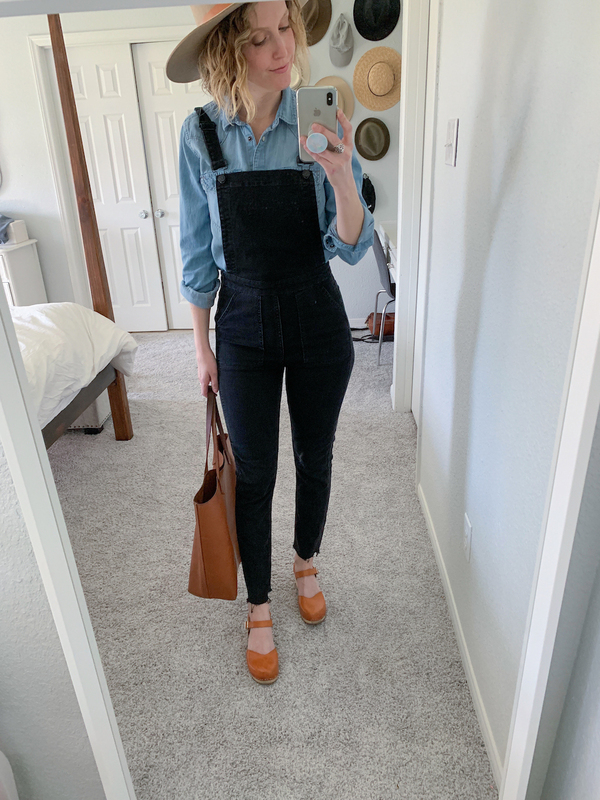 I’m loving all the ways you style these overalls! They were fed a good investment!